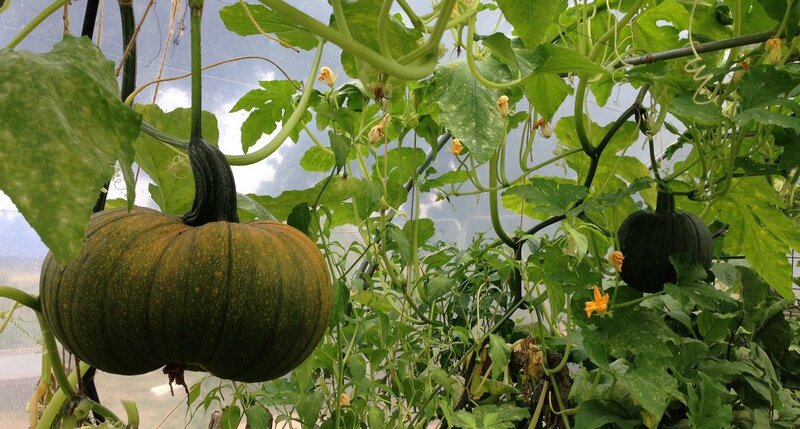 The garden is starting to look ready for Autumn, the beans are finished and the squashes which have been romping across the community garden are ready to come out. The last of the tomatoes will be harvested this weekend, and today we took some green tomatoes off to make into chutney. 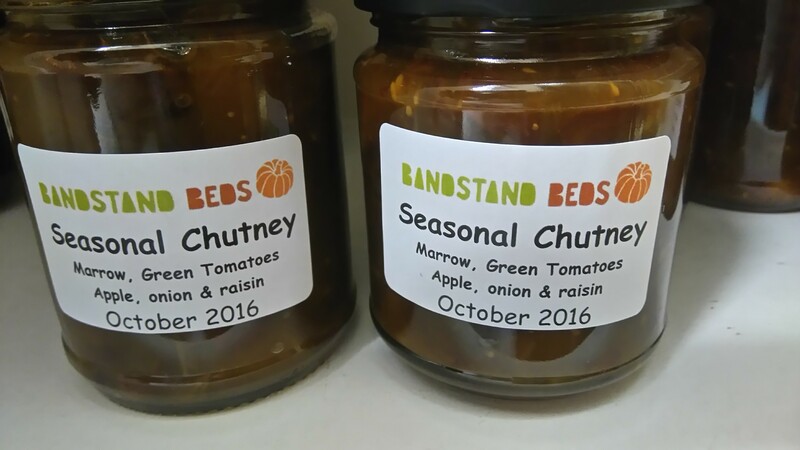 I used Pam Corbin’s recipe for Seasonal Chutney from River Cottage Handbook No 2 Preserves, which is essentially Hugh F-W classic “Glutney” recipe which the link above takes you to. 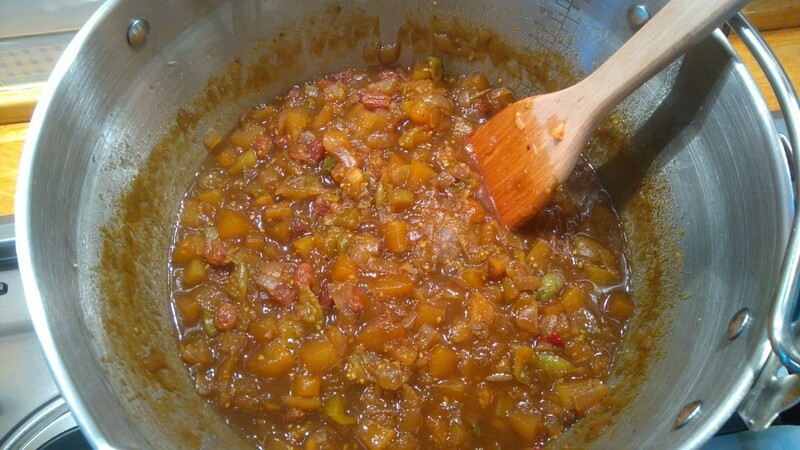 I used green tomatoes, marrow, onions, cooking apples and sultanas, with brown sugar and spices. This should be ready to eat at Christmas.